 The Global Network Initiative today launched a new report: “The Economic Impact of Disruptions to Internet Connectivity,” which highlights the significant economic damage caused when governments around the world deliberately shut down or disrupt Internet services. 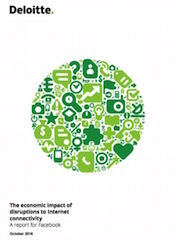 The report, which was prepared by Deloitte and made possible by funding from GNI member Facebook, lays out a framework for measuring the costs of shutdowns in terms of the daily gross domestic product lost in countries with varying levels of Internet connectivity. Based on this approach, the report estimates that an average h igh-connectivity country stands to lose at least 1.9% of its daily GDP for each day all Internet services are shut down. For an average medium-level connectivity country, the loss is estimated at 1% of daily GDP, and for an average low-connectivity country, the loss is estimated at 0.4% of daily GDP. “Governments should recognize the serious consequences of disrupting network access and see shutdowns through a human rights and development lens, not solely through a political or security lens,” said GNI Independent Board Chair Mark Stephens, CBE. The government-mandated disruption of communications networks—including social media, Internet messaging services, mobile, VOIP and SMS—is a growing global problem. A recent study by the Brookings Institution documented some 81 shutdowns in the year between July 2015 and June 2016. That report estimated the total cost of shutdowns to be in excess of $2.4 billion over that period. Ethiopia, India, Brazil, Turkey, Morocco, Pakistan, the Republic of the Congo (Brazzaville) and Saudi Arabia are just some of the governments that have disrupted their citizens’ Internet access over the past year. In dollar terms, the report estimates that for the average highly-connected country, the per-day impact of a complete Internet shutdown would amount to US$23.6 million per 10 million people. For the average country with medium and low levels of connectivity, the estimated GDP impact amounts to US$6.6 million and US$0.6 million per 10 million people, respectively. This analysis suggests that the ongoing Internet shutdown in Ethiopia, a low-connectivity country with a population of 94 million and a per capita GDP of US$505, is costing its economy just under half-a-million US dollars a day in lost GDP. The report underlines the need for governments to recognize that even temporary restrictions or reductions in Internet speed harm business and social activity online because they render some services unusable. The report suggests avenues for future research on this critical issue. More work is needed on the effects of shutdowns on consumer and business confidence, the opportunity costs for businesses and the wider economy, and the social and human rights harms when families are cut off from one another and their access to basic health, education, and other vital services and information is restricted.